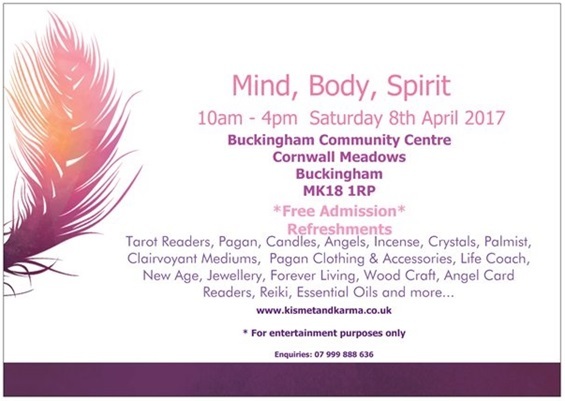 Excited to announce our next Mind Body Spirit in the Buckingham Community Centre on Saturday 28th April 2018. Make a note in your diary now! Interested in having a stall? Please go to our Contact page and drop me an email. Alternatively text/phone 07999888636. An evening dedicated to readers and mediums. Full details will be posted very soon, so watch this space! Reading slots can be booked in advance.